Hiking with Your Kids – How to Get Them Out & Moving! Spring is quickly approaching and if your kids are anything like mine they are getting restless and ready to head outside. With the approaching warmer weather we are starting to look for outdoor activities to burn energy and provide education while exercising. A great activity that does all of the above? Hiking! Hiking is fun whether it’s just around your neighborhood or on a nature trail. We are blessed to live in beautiful Oregon – in an area full of outdoor activities and trails to follow. It’s easy to make a hike fun and educational to hold the kids’ interest. Kids are easily fascinated by simple things, and you may just find that it’s contagious! Hiking can be done any time of the year with weather appropriate clothing. Bring snacks, lots of snacks: Kids like to have something to snack on and it will help to keep their energy up. Fruit, nuts and other healthy choices will provide a nice boost to their energy. If you let them pack their own snacks they will have twice as much fun. Keep it short: Make sure your hike is appropriate for your child’s age and level of fitness. Start with slow easy hikes and work your way up to more challenges over time. An older child is more likely to enjoy hiking while a younger one (three and under) may not want to walk much at all. Often they are content to just explore all of the interesting things they can find close to home. Make sure you take the time to enjoy and encourage their discoveries. Come up with fun games: There are a lot of games that can make a hike interesting. Counting objects, singing songs, I Spy and many more. The goal is to keep their mind occupied so they are not focusing on how far they have walked. This works well for kids that don’t enjoy getting out and walking outside. Make Goals: This is a great tip for older kids especially. Set mileage or hourly goals for a week and let them earn something in return for putting in the effort. Make sure they are reasonable goals – you can always increase them as your kids get more fit. Teach them to respect and enjoy nature: Teach your kids about respecting not only wildlife but the environment. Make sure not to leave any trace you were there and clean up anyone else’s trash you may find along the way. Learn about local wildlife and point out their homes and food sources. A child that grows up respecting the world around them will carry those lessons through life. Enjoy the time with your kids: Make it a special bonding time with your children. Your children grow up fast, and as parents we miss a lot of time with them through work. Take advantage of this time to talk with your kids and learn about them. A walk/hike after school can be a wonderful way to wind down and hear about their day. Children love when you take interest in their day! 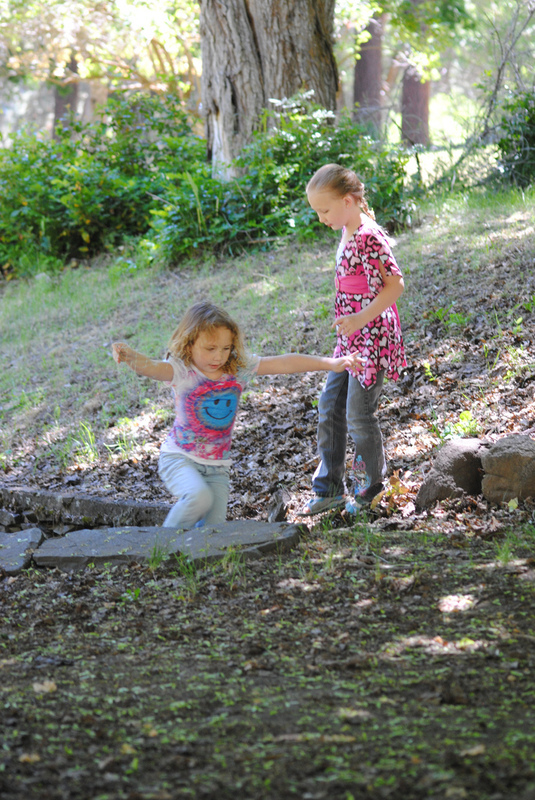 Do you have some special outdoor activities you do with your kids? Please share them with us in the comments below! Spring cleaning season is just around the corner. The weather is getting warmer (sometimes) and the days are getting longer. That sunshine might make you feel like getting up and moving around, but the lingering cold might keep you inside. Attacking the clutter in your house is a great way to prepare for spring cleaning and help you get exciting for the upcoming change in seasons! I’ve put together some easy tips for both catching up and keeping up with the clutter in your home. The first thing you should do is pick a place to start. That can be a room, a closet or even something as small as a shelf. The goal is to pick something you can clear out quickly and easily without being overwhelmed. Once you are done with one area, you can move on to another. Just remember to keep the areas that have been finished free of clutter. Another great idea to help clean your clutter is to place a Bin in the main areas of your home. I use a laundry basket for this. Once per day I have the kids help me and we gather up every item in the room that is out of place and put it into the bin. From there it is easy to make sure things are put into the correct place. Make sure it is empty before you go to bed at night. Keeping a time limit on your work can help it to be more manageable. Limit yourself to 15 minutes per day with longer stretches on your days off. By setting limits on the time you can pick an area that can be accomplished in the allotted time. That means you won’t leave things halfway finished. Halfway finished areas rarely stay clean. Your Clutter Can Be Someone Else’s Treasure! Choosing what to do with your clutter is a personal preference. Try to be eco-friendly and recycle what you can. Charities will often give tax deductible receipts for donations. You can also have a garage sale, gift items to friends or use your local Freecycle chapter to find new homes for unwanted items. Limit the non-essential items in your house. You may have items you hold on to because you love them, but never use them. Find new homes for these items where they will actually be put to use. If you have not used an item in the last several months (other than seasonal items) then it can probably leave the house and you will never miss it. Leave a box in the house and make it a goal to choose one thing each day to get rid of. Teach your kids to clear their clutter. 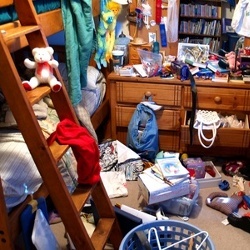 Teaching your kids from a young age to clean up after themselves can cut down on a lot of extra clutter in your home. If everyone that lives in the house picks up items before they are left in places they don’t belong then you no longer have clutter! This applies to your roommate or significant other as well. Everyone needs to be on board for it to work. Stop bringing in items that cause problems. Junk mail is one easy step to eliminate. When you walk from the mailbox simply toss the junk mail and opened envelopes in the recycle bin. Also say no to well-meaning friends and relatives that like to give you items. We all know how easy it is to say “I would love to have that” rather than “No thank you”. Don’t worry that you are hurting their feelings – just be honest. These steps will get you started on the path to a clean and clutter free home. They will also give you a great head start for doing the deep cleaning in your home. Do you have some useful tips for clearing out your living space? We’d love to see them in the comments below! Have you ever wondered about composting? Composting can be an incredibly easy and rewarding way to reduce your carbon footprint. It leaves you with a valuable end product that can be used in your own garden, donated or even sold! It can also reduce your contribution to landfills by 20% or more depending on what type of things you eat. 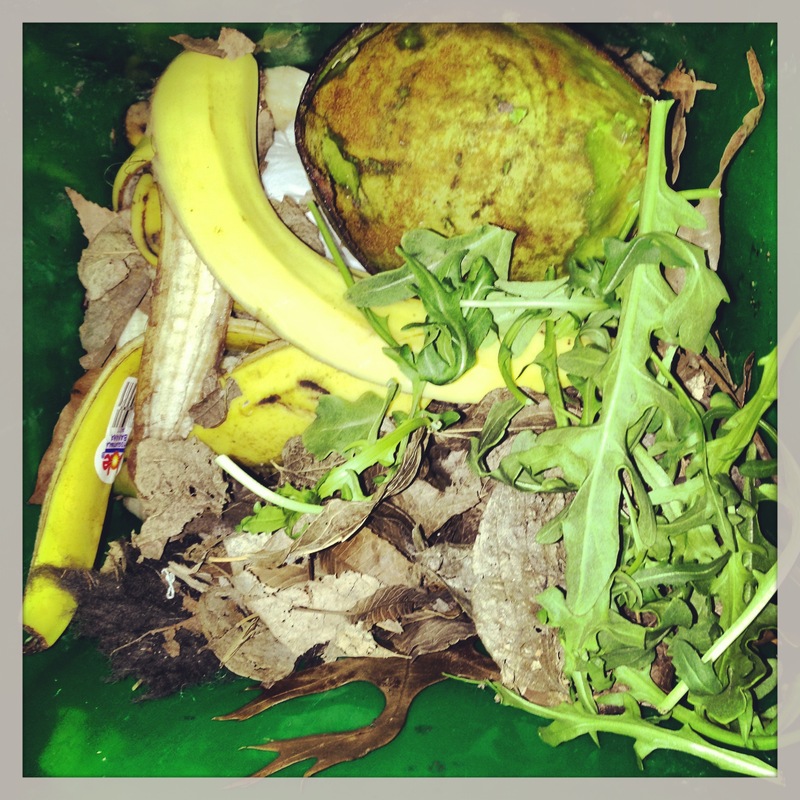 Where: The first step to composting is having a place to compost. It doesn’t matter if you live inside the city or further out, there are plenty of options for storing compost while it cooks into rich black gold. If you are not in a hurry and have room you can always just pile your compost in the corner of a yard, near the garden is best. There are also a range of trash cans with holes, buckets, barrels and DIY containers. What you choose will be a personal decision based on personal preferences. They will all make compost. How: The next step is to understand how compost is made. While you can toss any mix of compostable items in your bin it will break down faster if you mix it correctly. You need the right balance of green items (kitchen scraps, fresh grass clippings, chicken manure, etc.) and brown items (dried grass and weeds, leaves, wood shavings, etc.). Typically two parts brown to one part green is a good way to start your pile. You also want to keep it moist, but not overly wet. It should never have enough excess water that it drips when you squeeze a handful. For faster composting make sure you turn the pile weekly. I personally have a barrel composter that I give a few turns to daily. What: So now that you know how to make compost, simply gather your compostable items from the kitchen and begin adding them to your pile (store them in the fridge or freezer until you are ready to take them out). A quick tip to start your pile for brown material is a bag of pelleted wood shavings they sell for animal bedding. It breaks down quickly since it is fine pieces and it also holds moisture very well. Wet it just enough to expand the pellets into moist sawdust and add your green material in. You can also purchase compost starters for an additional boost to your new compost pile. Include vegetable scraps, egg shells, and any plant matter. Avoid fatty foods and meat products as they don’t quickly break down and can attract unwanted critters. You can also compost used coffee and filters, shredded paper, paper towels, and cardboard products. Just remember the smaller the pieces you put in, the quicker they will break down. Also, to remain chemical free, make sure your paper products are not colored or printed (just recycle those). Cardboard should be free of printing, waxes, glue and staples. Composting is a fun and valuable way to create something good out of your kitchen and yard waste. Get your kids involved and let them learn about improving and caring for the environment! Let them take out the compost and help you turn the pile over. Your family can plant their own garden with the finished results and enjoy fresh produce that is free of harmful chemicals. We would love for you to share your composting advice in the comments below!